At Cloverdale Auto Repair we stand behind our workmanship and the materials we sell. Our warranty terms are 12 months or 20,000 km’s or which ever occurs first. The warranty begins immediately following the service and repairs performed. We will replace faulty materials or render new services not exceeding the original amount charged. The warranty is non transferable. 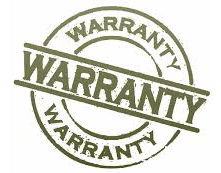 There is no warranty on neglected or misuse, an item damaged in an accident or altered by the customer. No warranty is implied on customer provided items nor is there warranty on used items unless documented on the original invoice.